Does the G-Flash offer enough for its price? This MP3 Player is slightly larger than a regular USB memory key. Finished in aluminium, it comes with Toni Braxton's Libra album pre-installed. Magix MP3 software is provided to turn your CD collection into a digital format, although the menu system for the software is unintuitive. 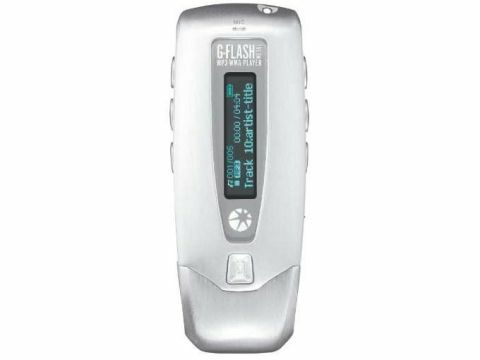 However, you can simply drag and drop music on to the G-Flash once you've turned it into an MP3 or WMA format. Sound quality is good on the provided Sennheiser headphones, and the G-Flash is a capable music player. However, switching between albums is time consuming, due to a slow navigation process and small display.